‘Crimmigration’ has become a critical “catch all” concept for legal scholars, criminologists, and sociologists alike. The concept describes the way two previously separate state control spheres – border control and crime control – influence each other and are part of the same control mechanism experiences and developments. This concept, for example, helps understand Trump’s effort to legitimize the tightening of immigration policy. It refers to both the protection of American economy and jobs and the explicit intent to protect American citizens from terrorists, rapists, and gang members. For this IMER lunch seminar, Synnøve Jahnsen from Rokkansenteret will talk about the usefulness of crimmigration as a concept in other settings. 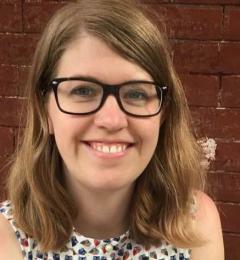 She will draw on empirical examples from her research on prostitution and human trafficking, Norwegian labour market crime policies, and the policing of outlaw motorcycle clubs and youth gangs in Australia and Europe. She will also use the opportunity to promote her new co-edited book “Criminal Justice in the Era of Mass Mobility” and highlight some of the methodological challenges faced by researchers in her field. A light lunch will be served. All welcome! 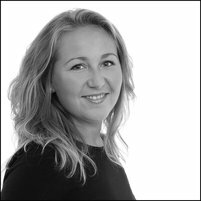 Synnøve Jahnsen is a postdoctoral research fellow at Rokkansenteret where she specializes in the sociology of law and criminal justice. This entry was posted in Law, Migration, Seminar, Sociology on January 8, 2019 by ase093. If a LGBTI person can “stay in the closet” in the country of origin, should she then be denied asylum as a refugee? This is currently a thorny issue for several European countries, when facing asylum seekers who apply for protection on the basis of their sexual orientation or gender identity. For this IMER seminar, Andrea Grønningsæter from the faculty of law at UiB will discuss how this is currently practiced in Norway. Research has shown that that LGBTI people (lesbian, gay, bisexual, trans and intersex people) often face specific legal and procedural challenges when applying for refugee status. In a number of jurisdictions, including Norway, LGBTI asylum seekers have been denied refugee status with reference to the fact that they can abstain from behavior that may result in a risk of persecution. A gay person can live as a gay within the confines of the home, for example, but not on the streets – and may thus not be granted protection. It is then concluded that the requirement in refugee law of establishing a ‘well-founded fear’ of persecution is not fulfilled, because concealment will mean that the asylum seeker is not revealed to potential persecutors. In 2012 the Norwegian Supreme Court considered the right to refugee status based on sexual orientation (Rt. 2012 s. 494). In the court’s decision it was stated that a gay person may not be required to hide their sexual orientation in the country of origin to avoid persecution. In cases where it is concluded that the asylum seeker will choose to conceal their sexual orientation, the court established a step-by-step approach for assessing whether the asylum seeker is entitled to refugee status. For her PhD project, Grønningsæter looks at how the approach that was established by the Supreme Court in 2012 for assessing asylum cases based on sexual orientation or gender identity is interpreted by the courts and the immigration authorities. She explores how the courts and immigration authorities establish the asylum seeker’s reason for concealment, as well as how concepts such as ‘being open’ or ‘discreet’ about sexual orientation or gender identity is understood. A light lunch will be served at the seminar. Welcome! Andrea Grønningsæter is a PhD candidate at the Faculty of Law, Bergen University. This entry was posted in Law, Migration, Refugees on October 8, 2018 by ase093. Booklaunch: Eksepsjonell velferd? Irregulære migranter i det norske velferdssamfunnet. Vi minner om at PROVIR boken Eksepsjonell velferd? Irregulære migranter i det norske velferdssamfunnet er ute i butikkene og at det blir en slippmarkering tirsdag 23. juni kl. 12.00 til 14.00 ved UNI Rokkansenteret (Nygårdsgaten 5 (6 etg), Bergen). Det vil bli forfriskninger og lett servering, og bokens redaktører vil holde korte innlegg. Om boken: Irregulære immigranter har på noen områder full tilgang til velferdsytelser, men på mange områder er tilgangen svært begrenset enten i form av rettsregler eller andre barrierer. Denne antologien undersøker forholdet mellom rettslig rammeverk, institusjonell praksis og hvordan irregulære migranter selv erfarer sin situasjon. Med en unik kombinasjon av juridisk og antropologisk blikk, går boken regelverket nærmere i sømmene, drøfter gatebyråkraters utfordringer og hverdagslivet til irregulære migranter og deres barn. Hvilke regelverk får konsekvenser for irregulære migranters levevilkår? Hvordan blir dette regelverket forstått og etterfulgt av gatebyråkrater? Og hvordan blir hverdagslivet til irregulære migranter og deres barn påvirket av regelverket og dets fortolkning? 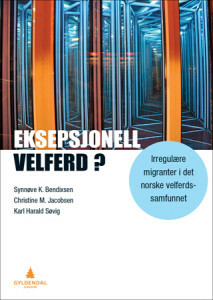 Denne boken er aktuell for velferdsprofesjoner som møter irregulære migranter som en del av sin yrkesutøvelse. Både leger, sykepleiere, helsesekretærer, lærere, helsesøstre, skolerådgivere, sosialarbeidere, sosionomer og barnevernspedagoger vil ha god nytte av Eksepsjonell velferd? Irregulære migranter i det norske velferdssamfunnet. Boken retter seg også mot frivillige organisasjoner som jobber med ulike aspekter ved migranters situasjon i Norge og andre som er engasjert i temaet. This entry was posted in anthropology, Law, PROVIR event on June 8, 2015 by halvarak.